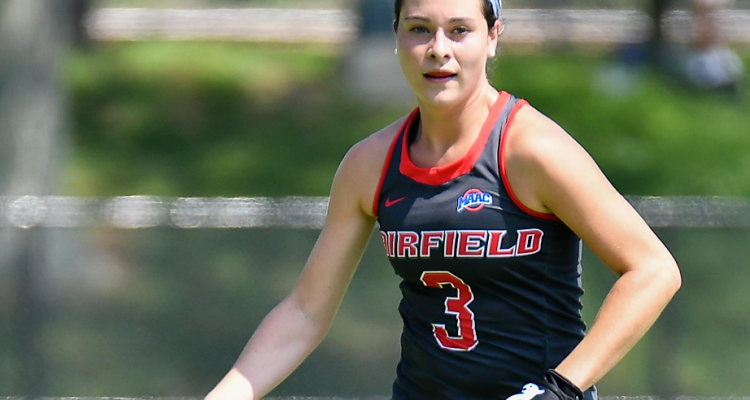 The Fairfield University Stags Field Hockey squad were cruising to a 9-1 start, beating in-state rival Sacred Heart University on Friday as they took on ninth-ranked Boston College at University Field. However, Fairfield fell 9-2 to Boston College by a score of 3-0 last Sunday afternoon. For the first time all season, the Stags were held scoreless throughout the entire game and, for the second time all season, the Stags allowed more than two goals. Head coach Jackie Kane preached solid defensive play along with scoring goals in her interview last week, which attributes to their hot start. Fairfield, as a whole, only recorded four shots, two of which were on goal, compared to 15 shots, 12 of which were on goal, from Boston College. Fairfield did not register a shot attempt in the second half against the Eagles as Boston College outshot the Stags 9-0. The one bright spot Coach Kane can take into their next game is knowing that, even against a top-10 team, her goalkeeper can rise up to the task. Fairfield’s Zoe Rosen ‘21 faced 15 shots and saved nine shot attempts, which were both season highs. Rosen was also just one save shy of giving herself her first double digit save total of the season. This goal-save total was more than triple the amount Boston College’s Jonna Kennedy ‘22 and Sarah Dwyer ‘20 prevented. Despite only recording two saves, this was the fifth game in 2018 where the Eagles shutout their opponents. Senior Cassie Hughes, Ymke Huisman ‘22 and Luzi Persiehl ‘22 all recorded shots for Fairfield as six different Eagles’ players logged shots in Sunday’s contest. Forward Graduate Student Brooke Matherson scored two goals against Rosen, both coming in the first half. Substitute midfielder Emily Buttinger ‘20 drove home the other score for Boston College. The Eagles also received nine corner kicks to just one from the Stags which shows that Boston College had no trouble moving their offense down the field while Fairfield struggled just a little more. 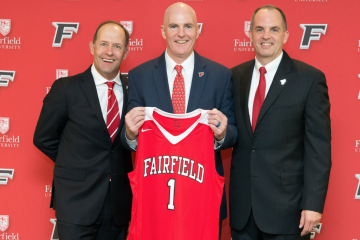 Still with an impressive record, eight of Fairfield’s nine wins have come against opponents that are outside the Metro Atlantic Athletic Conference. 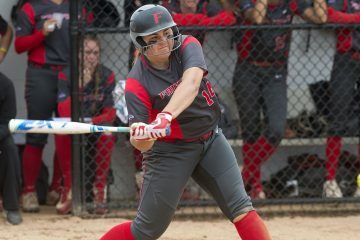 This loss to Boston College is indeed only Fairfield’s second blemish this season at a record of 9-2, where they look to bounce back against fellow MAAC opponent Bryant University on Friday, Oct. 5 at University Field at 4 p.m.